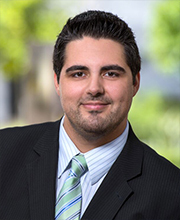 Active in the legal community, Matthew Menendez serves as the current President of the Hillsborough County Association of Criminal Defense Lawyers (HCACLD). Mr. Menendez joined the team at Sammis Law Firm in 2015. Prior to joining the firm, he was an Assistant Public Defender in the Thirteenth Judicial Circuit in Hillsborough County, FL, for more than three years. By focusing his career on criminal and DUI defense, he zealously advocates for his clients in juvenile, misdemeanor, and felony cases. An experienced trial attorney, Mr. Menendez has a particular focus on Driving Under the Influence (DUI) cases and other criminal accusations that arise during a roadside investigation. After growing up in Tampa, FL, he obtaining a degree in Criminal Justice from Florida State University and graduated from law school at Loyola University College of Law in New Orleans in 2010. 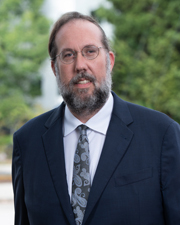 During law school, Mr. Menendez wrote for the Loyola Journal of Public Interest Law before eventually becoming the Editor in Chief of the publication. Mr. Menendez also represented indigent clients in family law proceedings, gaining invaluable courtroom experience. Additionally, Mr. Menendez worked for the Juvenile Justice Project of Louisiana in their efforts to transform Louisiana’s juvenile justice system and end mandatory life without parole sentences for juveniles.